BetaDwarf - Official Blog: Minion Master's Monday - Let's experiment together! 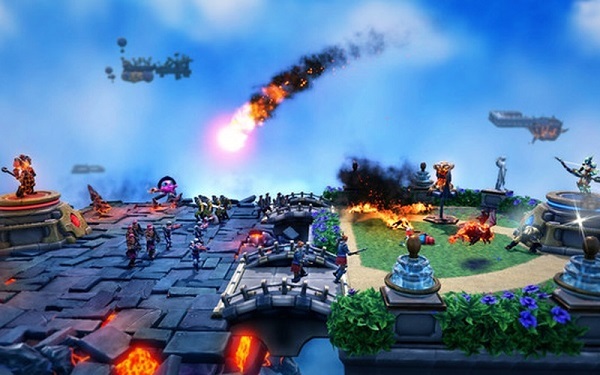 Minion Master's Monday - Let's experiment together! How was your weekend? We sure hope amazing! Now, Mondays are usually where we outline the week that lays in front of us internally and set specific goals. And for this week, our Community Management has planned to start a little experiment regarding feedback & suggestions. Interested? ...on multiple platforms. We have the Steam forums, Reddit, Facebook, Twitter, and Discord plus the in-game chat. That makes for six active communication channels we're watching, already. If we count the Dwarf streams in, we're talking about seven active communication channels every 2 weeks (formerly weekly). Sometimes, catching all the feedback and suggestions can be quite a task, especially in real-time chats like in-game or on Discord. Please note that posting a Stomt doesn't require you to sign-up, nor do votes. Commenting, however, needs you to be registered. We'd like to encourage you to register yourself because we'd like to see at least an alias behind an idea. The full functionality of the platform is another incentive. Also, the STOMT page of Minion Masters is moderated and uses the same rules as the Steam forums and Reddit for that purpose. You can find these rules right here. The biggest advantage of STOMT – and something we want to test in-depth with you – is to bring the whole community for the purpose of feedback and suggestions together in one place, whereas the current channels are spread and decentralized. That doesn't mean we do not want you to post feedback or suggestions anywhere else! For the purpose of testing this platform though, we'd appreciate being vocal there. An example that came to our minds was that you could suggest changes to the Battle Pass in-depth on the Steam forums - for instance - and write a short suggestion on STOMT, also. STOMT gives you an easy way to let us know what you wish and/or like, while others can interact with your feedback and suggestions. The platform offers us many useful tools and ways to gather, evaluate and quantify your voices. Currently, the feedback process behind the scenes has to be maintained for single platforms that are not connected with each other. STOMT could become the new main hub for feedback, while we will continue to observe our other communication platforms, of course. 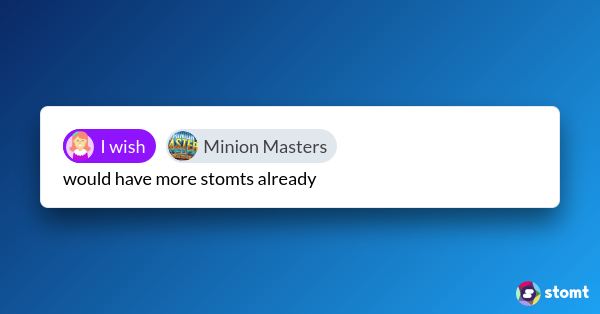 There's also the possibility to integrate STOMT in Minion Masters and our Twitch streams, even Discord. But for the purpose of this initial test, we will not do that. We want to keep it simple for now. Now it's up to you, Masters! Give us your feedback and suggestions on STOMT. King Puff Cup 25 already announced! We saw amazing matches last Saturday live on Twitch. King Puff Cup 24 didn't just introduce BOB aka truteo as a new caster, but also - once again - a thrilling and fascinating experience in the battles on the flying arenas between some of the very best Minion Masters players. We had quite some surprises again such as tournament winners not making it to the Top 8. Buuuut, we will not tell you too much this time and let the VOD speak for itself! Congratulations to all winners and a special thanks to all participants, viewers and the King Puff Cup staff for making these events possible! In the meantime, we have King Puff Cup 25, scheduled for Saturday, August 11th at 13:00 UTC, already announced and the race for Circuit points is on! 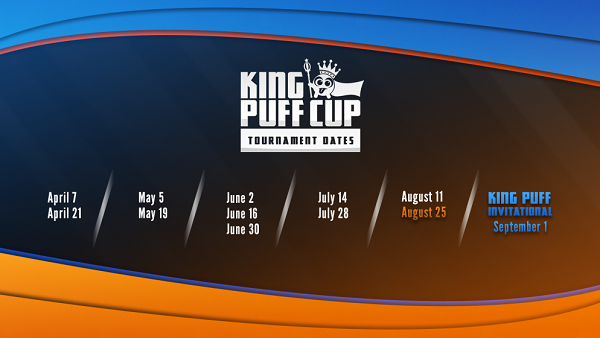 According to the schedule of King Puff Cup Season 3, there's only this one last tournament prior to the King Puff Invitational and the Qualifiers. So better make sure to participate by reading this official announcement and signing up!